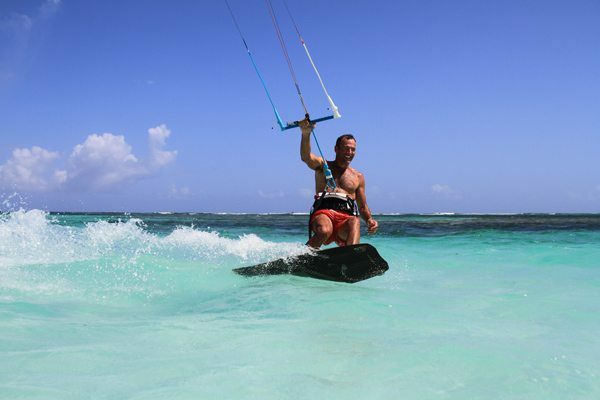 As you would expect in the Caribbean we have a profusion of BVI water sports and activities available during your BVI sailing vacation! Please see some BVI Water Sports examples below and contact us with any other BVI water sports requests – we will be happy to assist you. We’re also pleased to offer tailored BVI adventure vacations – download our BVI Adventure Vacations flyer for more information! 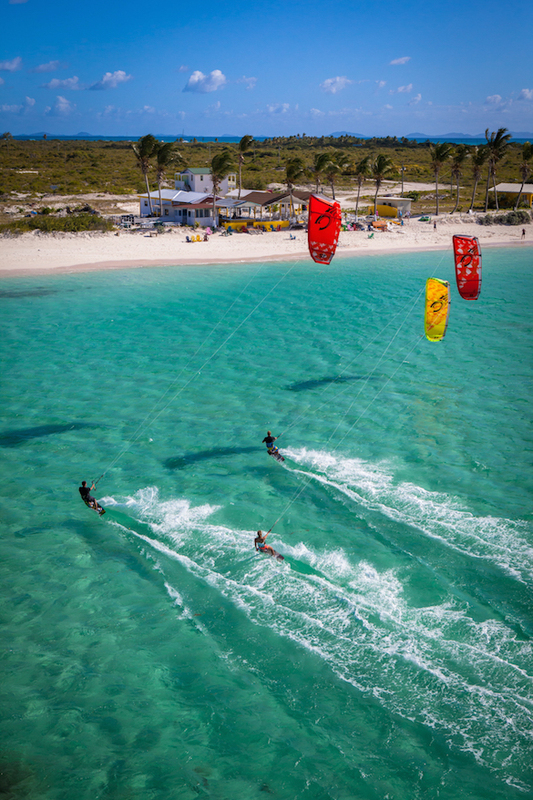 You can explore our tailored Sail & Kite vacations here. 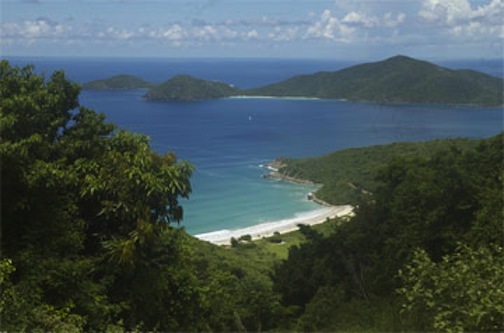 Explore great opportunities for a BVI sail & kite vacation sporting adventure, excitement, and luxury. 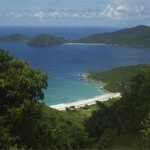 Also, please take a look at this great blog piece on 11 reasons to visit the BVI…! Try out the hot new trend on the water by renting one of Horizon’s Stand-Up Paddle Boards (SUP’s). Instead of the traditional surfboard style, where you paddle out to the wave with your arms and stand up to catch it, on a stand-up paddleboard (SUP) you stand up the entire time and use your paddle to get around. You don’t even need waves to have a great time on a SUP. Ideal for exploring deserted beaches and coves, make sure you ask our reservations team to find out availability and add one to your charter booking. 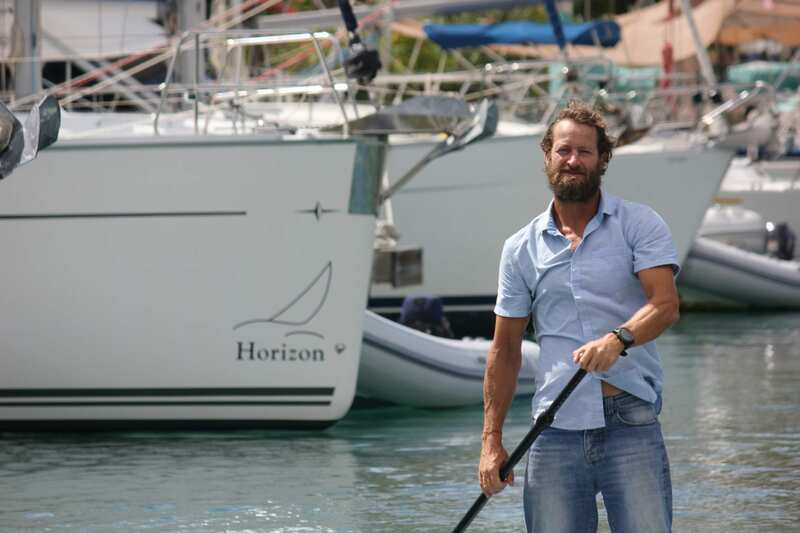 Red Paddleboards, the world leader in inflatable SUP technology have made some of their 10’6 “ride” boards to order for Horizon Yacht Charters, and they’re a fabulous charter accessory. The 10’6 ride SUP is an easy and stable paddle for first timers, perfect to explore idyllic creeks and bays with a great vantage point to see fish, without putting a mask on! The boards are fun to paddle longer distances, “do a downwinder” or catch a wave for the more experienced paddler. They also make an excellent mode of transport if some of the crew want to head to the bar in the dinghy, but others want to head to the beach…..or just to relax on, or even yoga on, tethered to the back of your yacht. The boards are light, cannot damage the yacht, and easily stowed against the lifelines.They have a robust double layer construction for strength, meaning they can take 20psi pressure….have side battens for more stiffness, enabling a consistent rocker shape, and a vastly superior SUP ride: it’s the formula for the world’s best inflatable SUPS. Adjustable length paddles ensure a perfect fit for all. Tootega Kayaks, also made to order for Horizon, have been designed by British Olympic paddlers. 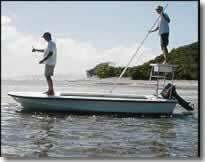 The “sit on top” designs excel with good glide and tracking for leisurely ( or workout pace) paddles around the islands. Our single and double kayaks come equipped with seat backs, bottle holders and gear storage giving you the potential to do a grand tour of the bays from your yacht, or a convenient way to get to the beach. Alternatively, their stability lends itself to trying a spot of fishing. The highly durable and lightweight combination make it an easy accessory to add to your charter and adds another dimension to your adventure. Contact us to check availability to add either a single or double kayak to be aboard your yacht, ready for your arrival. A two-seater Kayak, a single kayak, noodles and floating mattresses can all be rented ahead of time and added to your vessel prior to your arrival at our dock. Kayaks are a wonderful way to enjoy anchorages at the end of the day in peace and tranquility, or take a picnic to a deserted beach … and its great exercise too! 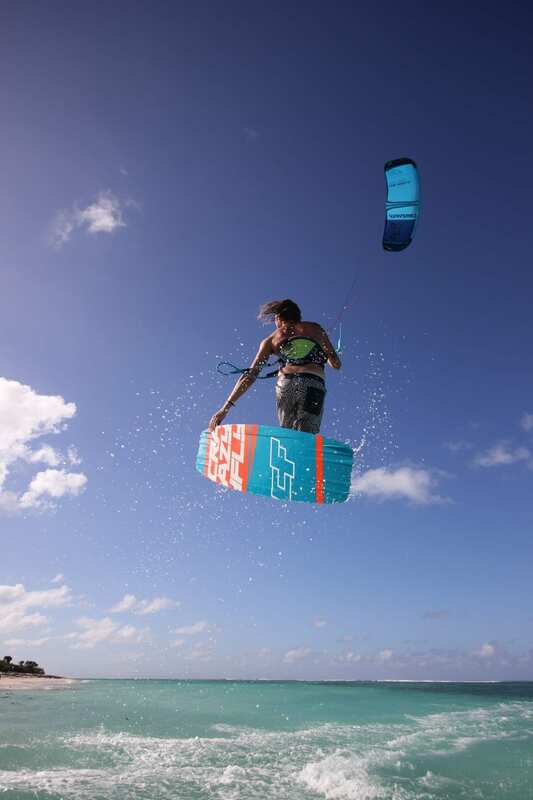 Based in Anegada, Tommy Gaunt Kite Surfing is a comprehensive kiteboarding center providing lessons, guided excursions, and features the latest in equipment and apparel. Sail to Anegada, moor at Setting Point on the south shore, dinghy to the Lobster trap restaurant and grab the free shuttle to Anegada Beach Club ( ABC) at Keel Point on the North Shore. Meet Tommy Gaunt. The Crazy Fly sponsored rider who owns and runs Tommy Gaunt Kiting on Anegada. Assisted by another British Kite instructor, Tim Wade, Tommy and Tim make kiting about as much fun as you could imagine. Whether you are a complete novice, or a seasoned pro, these vastly experienced instructors will get you to the next level, faster than you could imagine possible. One on one instruction, hats with built-in walkie talkies, shallow water and an incredible beach, beach bar, and restaurant – what else could you ask for? Tommy Gaunt Kiting has 2019 Crazy fly kites and boards to rent to cover all wind conditions and rider abilities. They also rent Sups and do Sup tours, if you are looking for a slightly lower octane way to pass a sublime day…..or two. 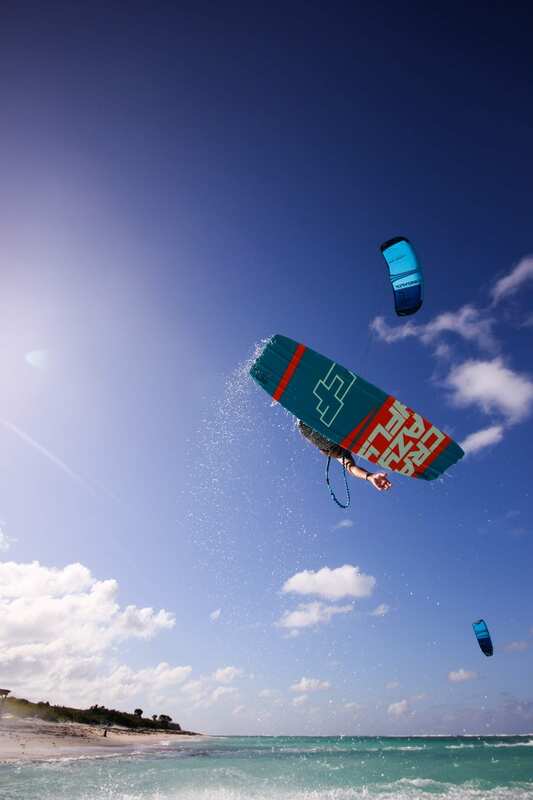 We don’t expect you to get airborne on your first lesson, but after a little guidance from the experts at Island Surf And Sail or Last Stop Sports and Watersports you may be tempted to try it! We can arrange to have a BVI windsurfer on board for your arrival, and before you leave the dock an instructor from your selected water sports equipment provider will meet with you at your boat and give you some tips on BVI windsurfing (should you need them). 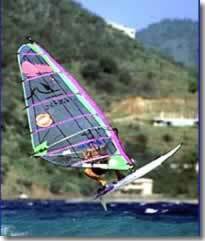 They also have first-rate intermediate and advanced BVI windsurfing equipment available. 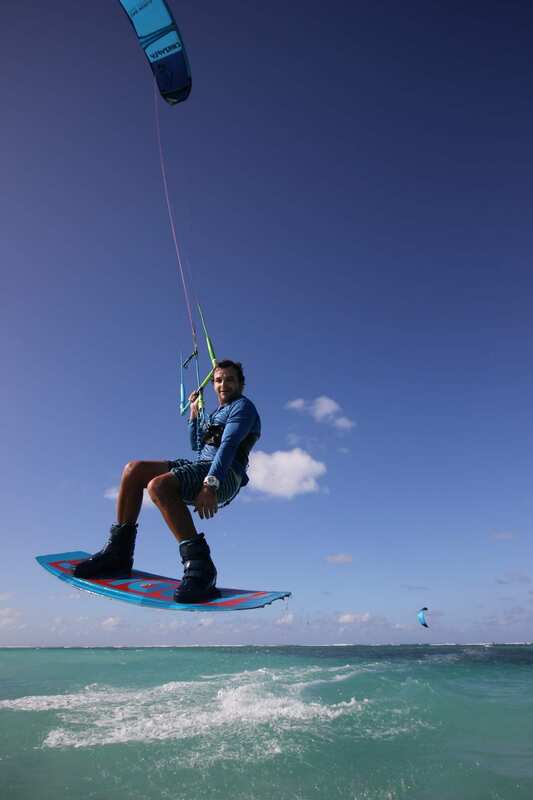 All BVI windsurfing equipment is immaculately maintained and guaranteed. Contact Island Surf And Sail, Last Stop Sports or BVI water sports HQ for packages and rates on the above. If you can’t live without cycling or biking, then rent one from Last Stop Sports and take it sailing with you! They have a wide range of cycling and biking equipment available to suit all sizes and budgets. 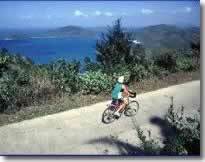 Cycling/biking is a great way to get around on some of the larger islands that you might want to explore and avoid the expense of renting a car. If you would like to see more on what’s on offer, please visit http://www.laststopsports.com for more information. 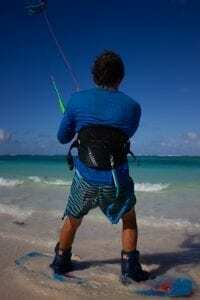 “If you want to fly fish as well as enjoy all the other pleasures of the Caribbean, such as sailing, scuba, and snorkeling, go to Tortola and fish with Caribbean Fly Fishing Outfitters.” – Salt Water Fly Fishing Magazine. For more information please visit www.caribflyfishing.com. Upstairs@Quitos – this well-known bar and restaurant at Cane Garden Bay has refurbished and reopened their restaurant upstairs. Visit their website here for more information and reservations. Helicopter tours are available from Antilles Helicopter Services. 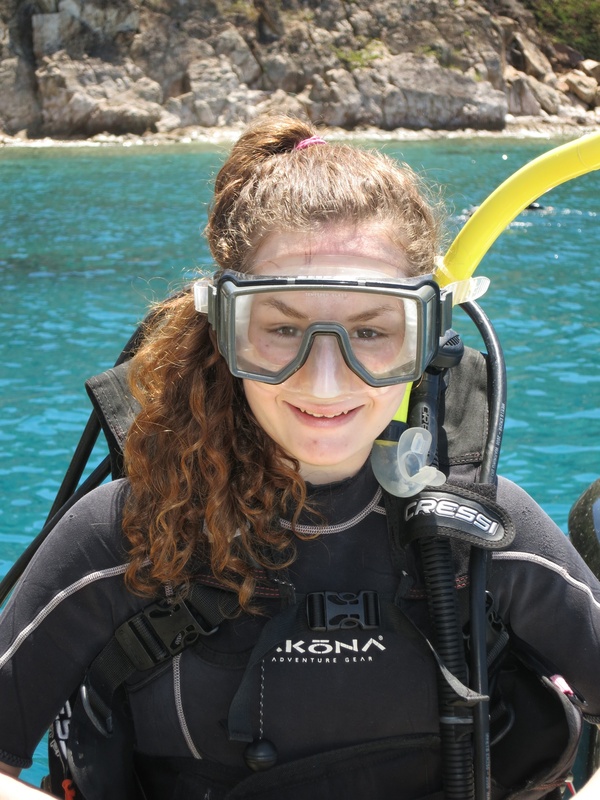 Enhance your BVI scuba diving adventure with Blue Water Divers. 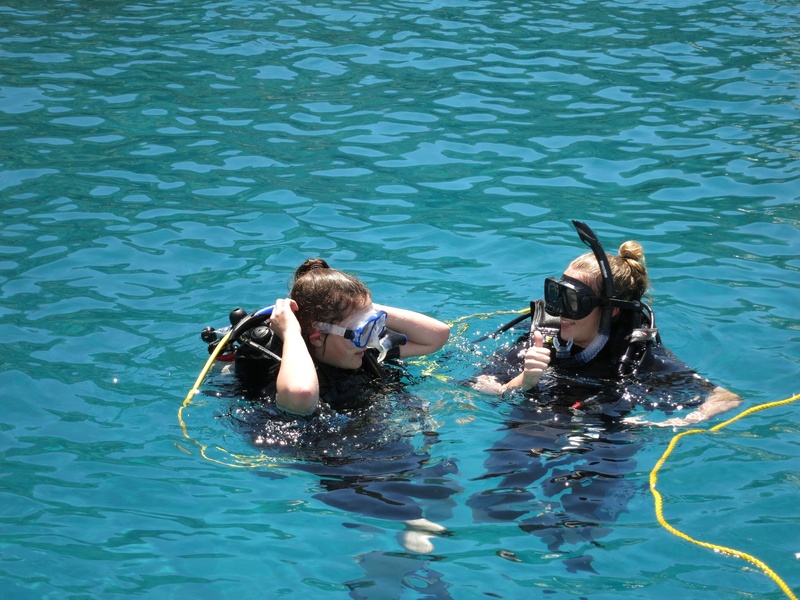 Operating out of Nanny Cay Marina since 1980, all instructors are PADI certified and intimately know the best and most beautiful dive sites for BVI scuba diving. 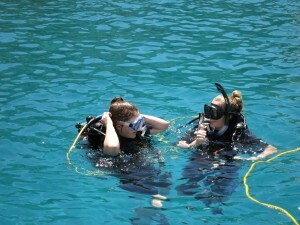 BVI Scuba Diving tours leave from Nanny Cay or from a pre-arranged rendezvous with your charter boat. Equipment is included with all dives. Blue Water Divers also rents out diving and snorkeling equipment for your BVI snorkeling requirements. The Caribbean may not be the first place you think of as a surfer’s paradise, but in fact, Tortola has several excellent locations for surfers depending on the time of year. 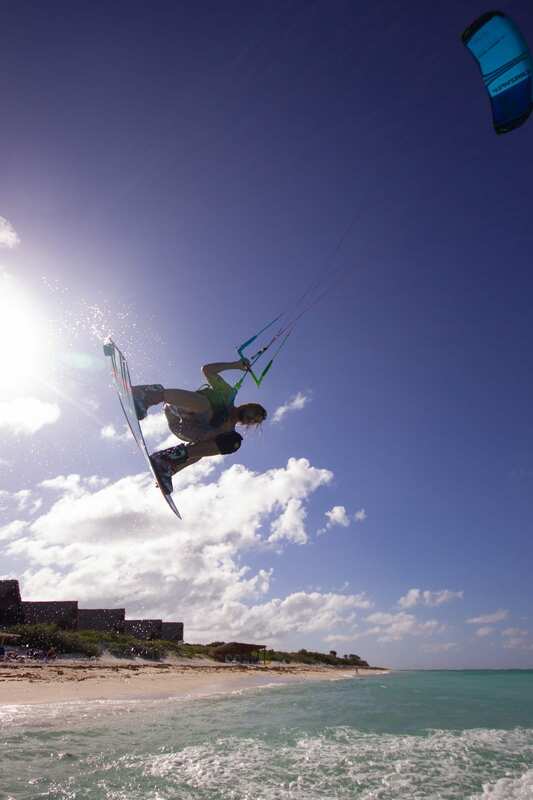 For more information on BVI surfing visit Surf School BVI. In association with Anegada Beach Club (www.anegadabeachclub.com) Tommy Gaunt Kitesurfing offers a full range of watersports including Kitesurfing, Stand Up Paddle Boarding, Kayaking and Snorkelling. 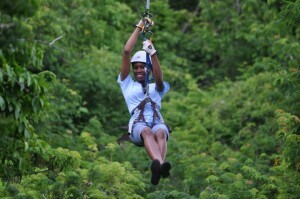 The Original Virgin Canopy Tour is a new sky-high island adventure based in Tortola. 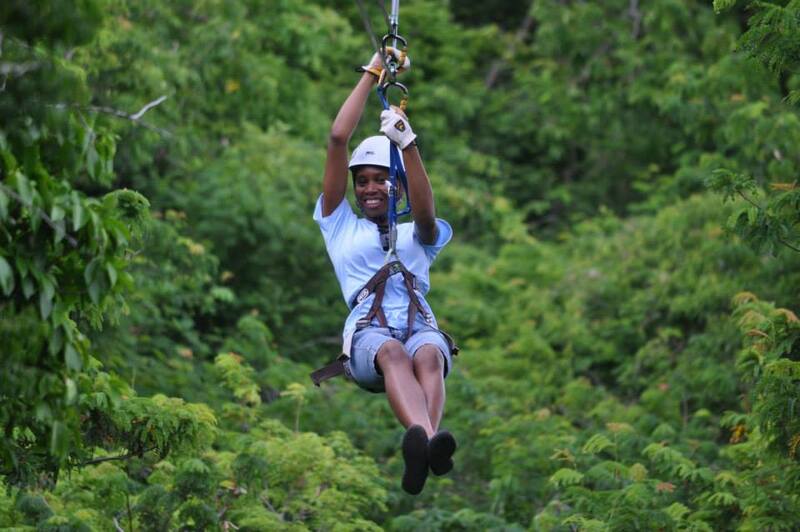 Similar to a zip line, the Original Virgin Canopy Tour consists of seven traverses built in between and above the island’s towering trees. The eco-friendly tour involves being hooked to a double line that takes individuals through a soaring path in the sky, offering breathtaking views of the surrounding islands. 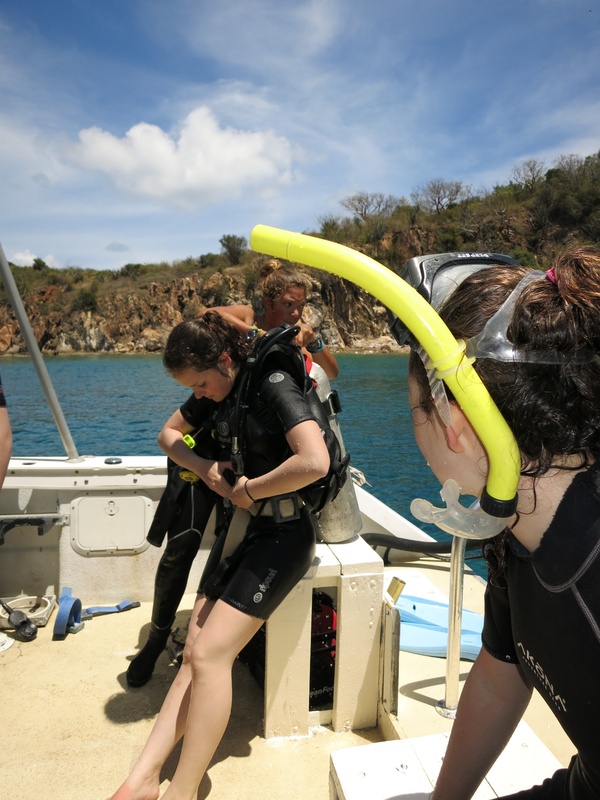 The elevation of the tour is approximately 920 feet above ground with a vantage point of St Croix, Norman Island, Peter Island, Deadman’s Chest, Flanagan Island and the Wreck of the Rhone. Thinking of getting married before, during or after your BVI sailing vacation? We can assist you with local wedding co-ordinators who can assist in planning your special day. You may also wish to visit the Knot Wedding network or TC Events for information on planning an overseas wedding. Limin’ (taking it easy Caribbean style!) – after all you’re on vacation so you can take a breather. Horizon Yacht Charters have super-comfortable Hammocks available for rental during your time with us. So pour a drink, grab a good book, lie down and “lime”. This unique floating spa has been built mostly from lumber salvaged from around the BVI following the passage of hurricane Irma on Wednesday September 6, 2017. Our lives changed that day. Let this be a reminder that we may have a lot of “wants” but what we need is to celebrate what we do have……life. The creation of this one of a kind spa is my humble contribution to the people of the BVI and visitors to our shores. Please relax and enjoy.